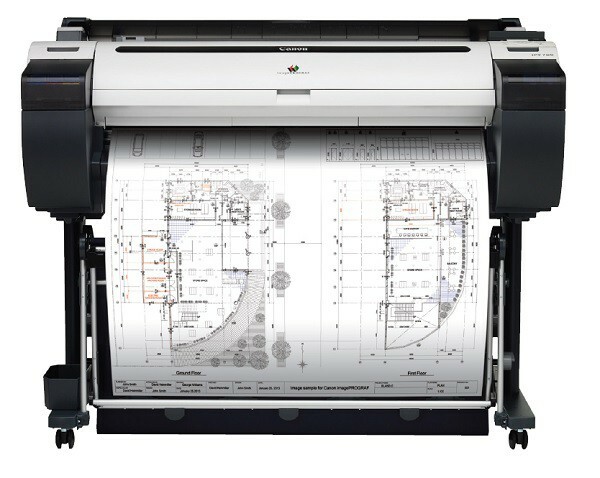 Canon has just announced the released of four new CAD plotters, these new large format printers are the Canon imagePROGRAF IPF680, Canon imagePROGRAF IPF685, Canon imagePROGRAF IPF780 and the Canon imagePROGRAF IPF785. The Canon imagePROGRAF IPF680 and Canon imagePROGRAF IPF685 are 24in Technical printers with a small footprint for seamless workflow integration, inbuilt cost tracking management which syncs with the Canon accounting tools (provided). 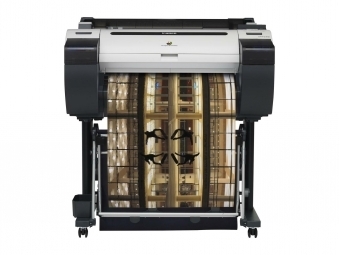 They are capable of printing an A1 in roughly 25 seconds and are HP-Gl/2 compatible. The only difference between the two printers is the 320GB hard drive included with the Canon iPF685, the hard drive gives the printer better file handling abilities and provides more space for print job data. Similar to the iPF680/685 the Canon iPF780 and iPF785 has a 5 colour ink system with hot swappable ink tanks, borderless printing and true fine line printing capabilities. However, the Canon iPF780 and Canon iPF785 are 36in printers featuring a faster print carriage resulting in an A0 in just 41 seconds. The Canon iPF785 also features a 320GB Hard Drive for better file handling and faster data processing. These printers all use Canon's new magenta ink which produces a bigger colour gamut and is credited with more vivid prints.